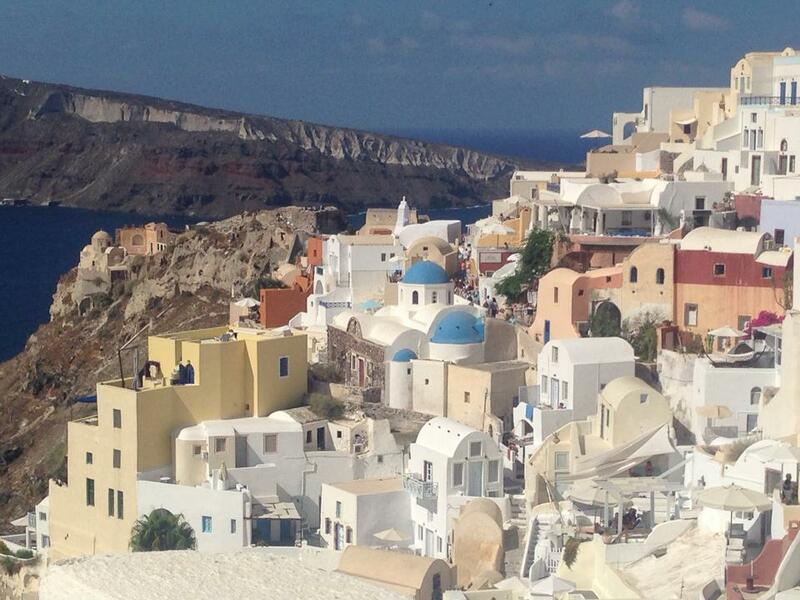 Pristine whites against breathtaking blues on the majestic island of Santorini. 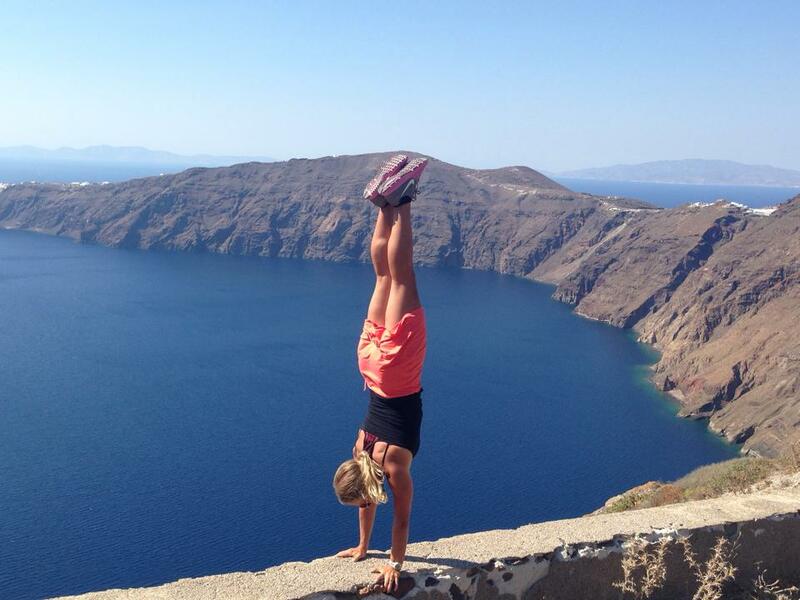 Handstand Steph ventures to the edge of paradise along the Fira-Oia path. 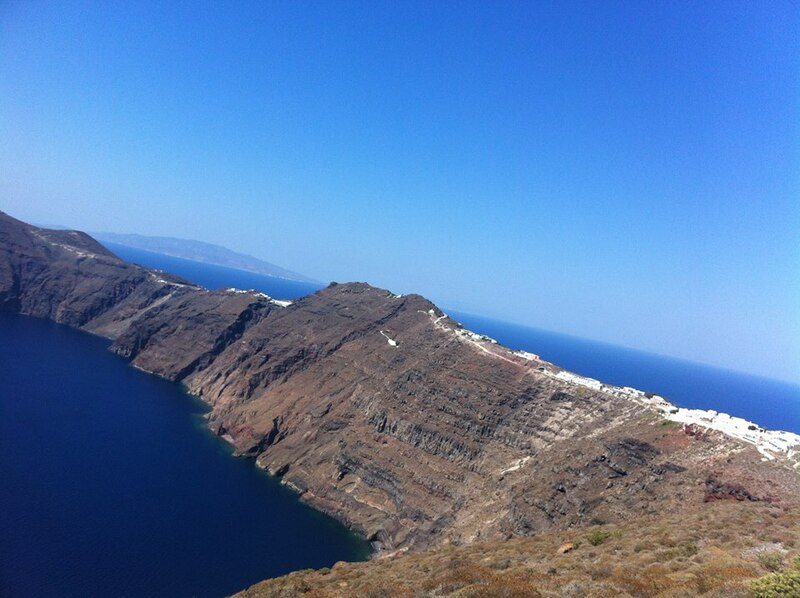 We hiked through Firà, Firostefáni and Imerovígli, tracing the caldera and taking in incredible views every step of the way. 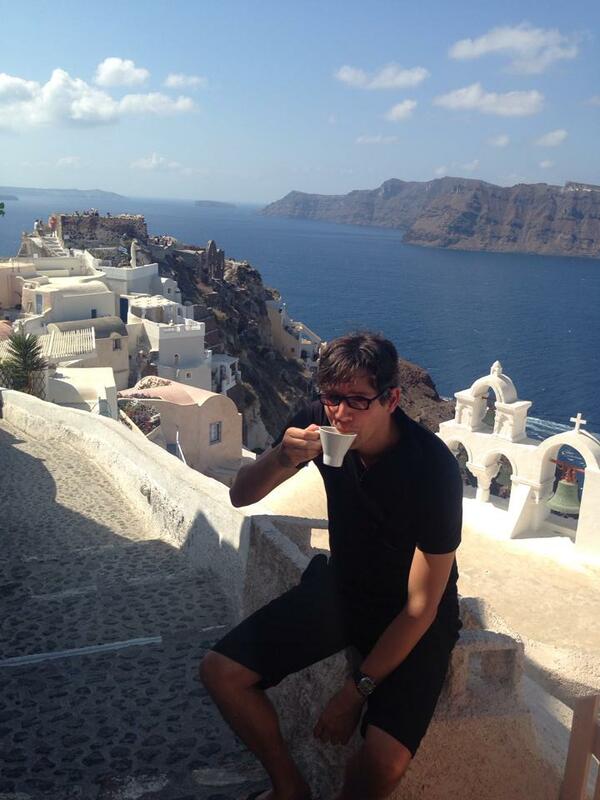 JCrew enjoys a mighty cup of brew, a perfect complement to Oia’s ridiculous views. 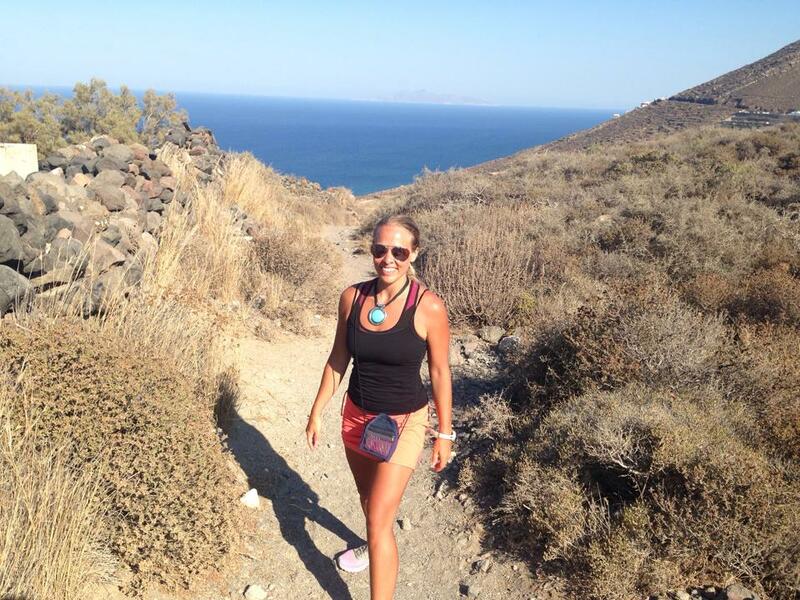 This is where the 9km walk really turns into a hike, with near desert-like conditions. Bring water! A thin slice of land topped with cream and sandwiched between endless serenity. 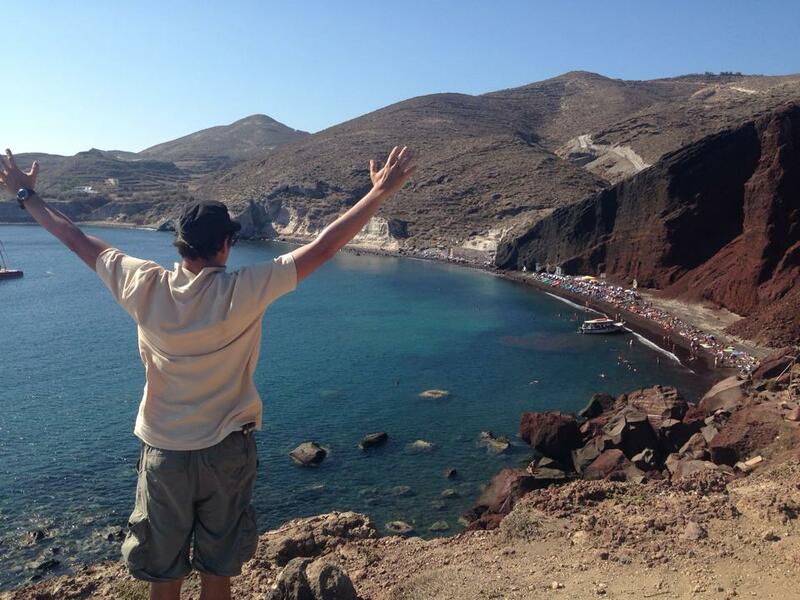 JCrew shows his respect for the blazing beauty of Santorini’s Red Beach. 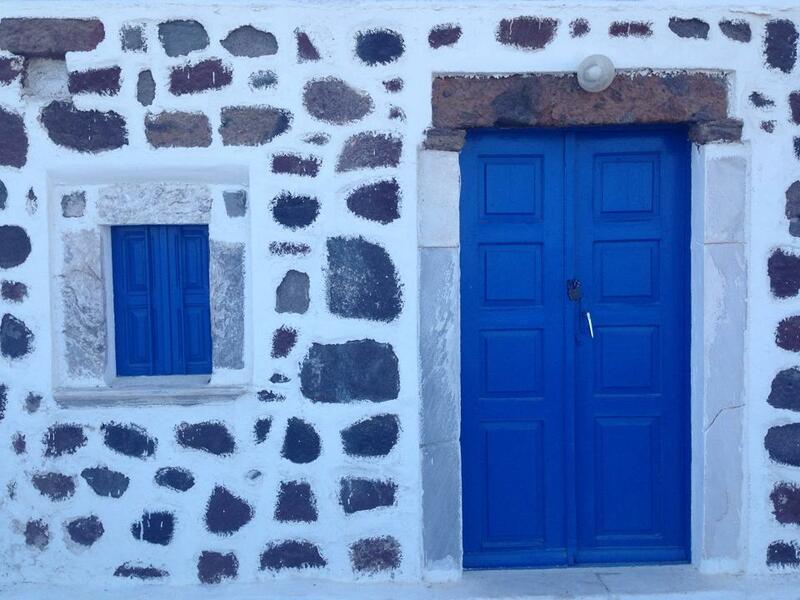 No, this isn’t a funky cottage with amazing style — it’s part of a church near Red Beach in Akrotiri. 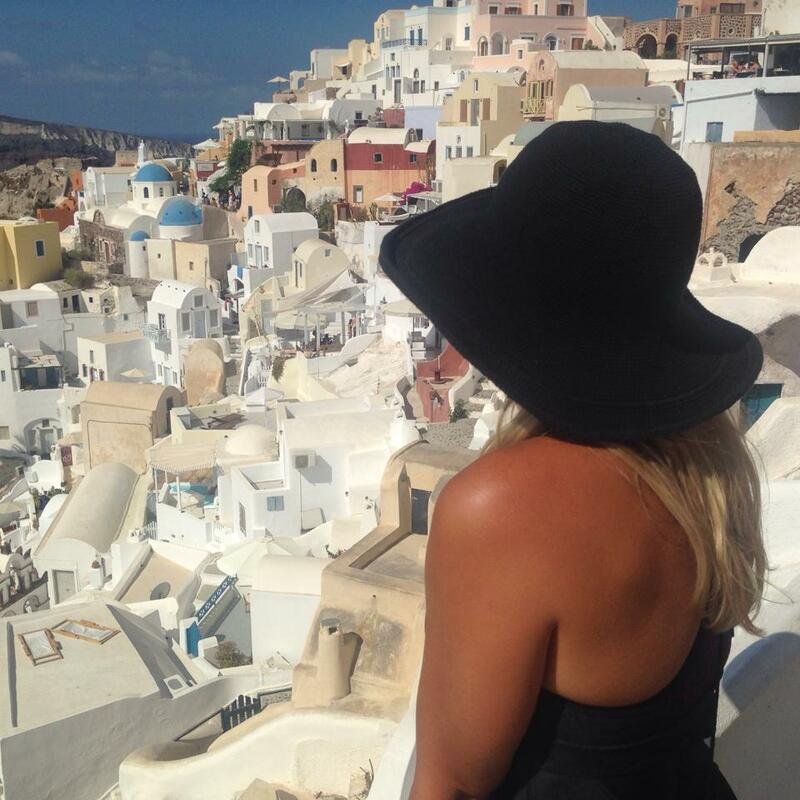 Classic Santorini, sunhat and all. 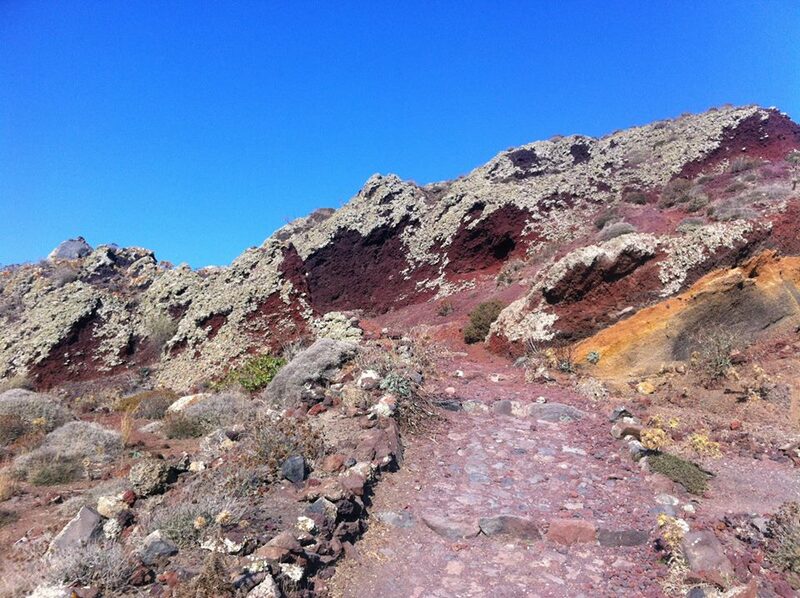 A constant reminder of Santorini’s volcanic roots is forever burned into the ground. 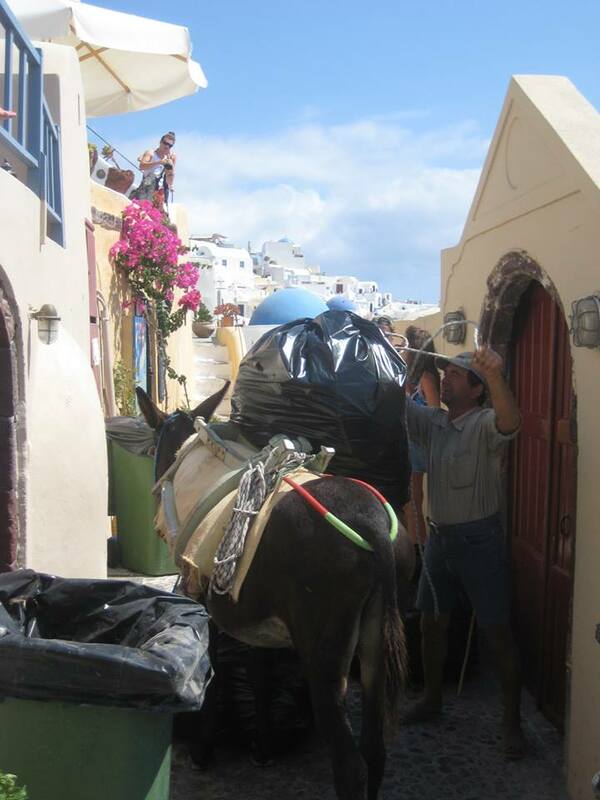 Little white boxes stacked atop the vibrant town of Fira. 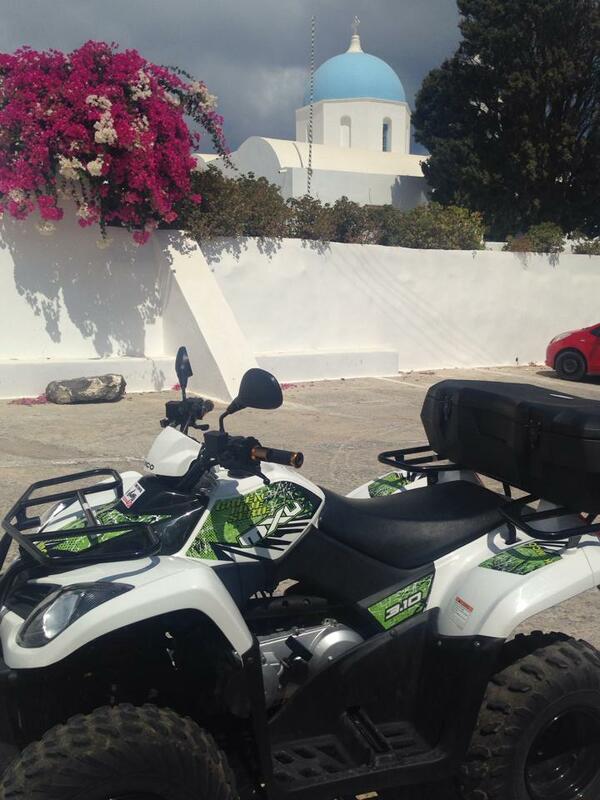 Bruiser, aka our ATV rental, posing in front of Aghios Artemios Traditional Houses, a cave hotel showcasing Cycladic architecture. The church, the only on the island with a light blue dome, dates back to the 15th century.